Bathroom renovations likely make you think about tearing out showers and tubs and installing all new features. While a bathroom remodel can include a major overhaul to the room’s components, it can also be implemented through more subtle changes. One such change is swapping out old, outdated lighting for a new, fresh look. 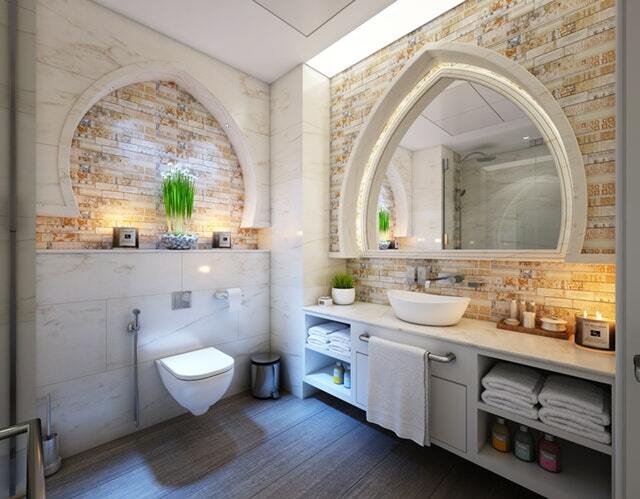 Before you head to your local lighting showroom to pick out the perfect sconce for your bathroom wall, make sure you have a solid idea of the style you are hoping to achieve. From modern bathroom lighting to a more traditional approach, there is no wrong choice for your space but you do want the pieces you purchase to flow. Whether you are opting for a simple, farmhouse style renovation with vintage barn doors and a clawfoot tub or you are opting for a sleek and modern look with a state of the art smart technology shower, make sure you pair the right lighting fixtures with your design. 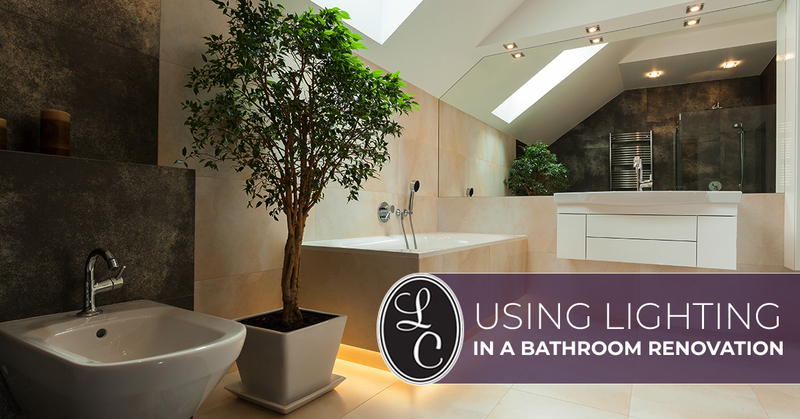 The wrong style lighting fixture can ruin the look of your renovated bathroom and, in contrast, the right fixture can tie the entire design together. While you may feel like a kid in a candy shop when you enter our lighting warehouse, make sure that you not only shop for design but that you also shop for functionality. Lighting is a wonderful way to improve the aesthetics of a room but it also serves a much-needed role — keeping your room well lit. In the bathroom, this can be particularly important. Think about the practical side of things when picking out your lights. Will those new lights above the sink provide enough light when you are putting on makeup? Will your new center of the room light fixtures illuminate your shower amply or should you add another light feature to that section of the room? Take the time to work through these questions before you go hog wild picking out all the design features you want. When it comes to interior lighting, make sure that the products you are purchasing are high-quality and built to last. The worst thing you can do is spend all your renovation money on inferior lights that wind up looking outdated and dingy in a matter of a year’s time. Instead, choose from trusted brands and manufacturers so you can count on your new light fixtures to continue to look gorgeous years down the road. When you visit our lighting showroom for interior lighting in Alabama, we can help guide you to the best products on the market. We can work within your budget to find the perfect fit for your needs. When you leave our store, we know you will be equipped with exactly what you need to make your bathroom remodel a success. From ceiling lights to stunning sconces, we carry all the interior lighting products you need to create the perfect design for your home. Come visit us at Lighting Concepts today and learn why we are the top rated lighting showroom in the Trussville area.